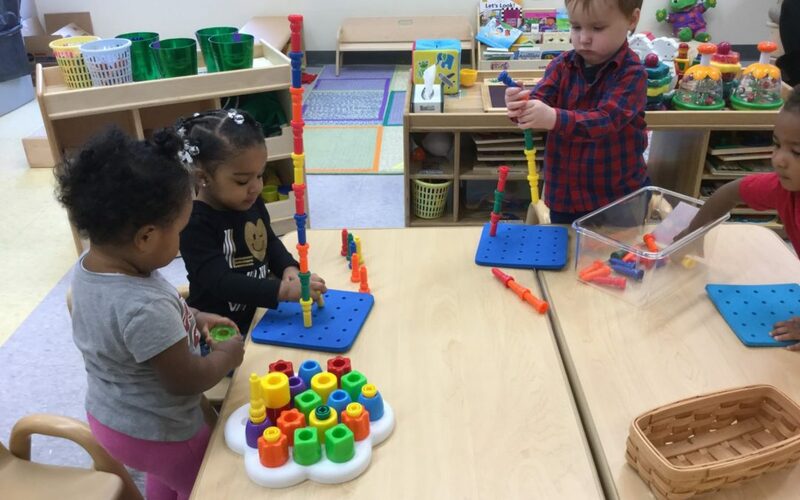 Students in Ms. Hick’s class at the Council for Economic Opportunities’ Head Start program at Puritas are having great time playing with peg boards and seeing who could build the tallest tower. This type of play is not only fun but encourages learning and allows for the developmental of several fundamental skills. 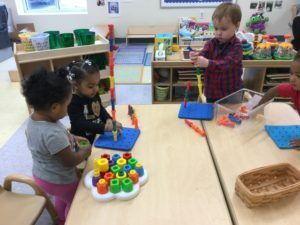 Play is the context in which children most optimally learns that is why the Council for Economic Opportunities in Greater Cleveland’s Head Start program provides students a play rich environment where they can learn, grow and socialize with their peers. During this exercise the children were able to work on the development of hand-eye coordination, fine motor skills, and color identification.